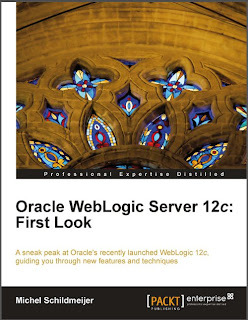 Xml and More: Book Review: "Oracle WebLogic Server 12c: First Look"
Book Review: "Oracle WebLogic Server 12c: First Look"
This book provides readers a first look inside the new release of Oracle WebLogic 12c. 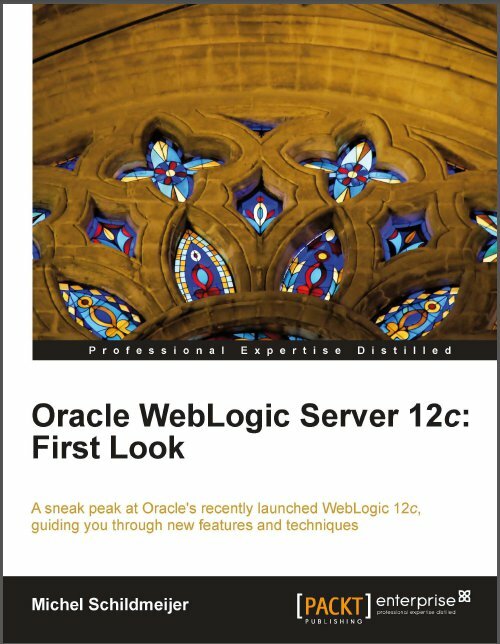 There are over 200 new features in the new release of WebLogic 12c. Some of the most important features include Java EE 6 and Exalogic readiness. 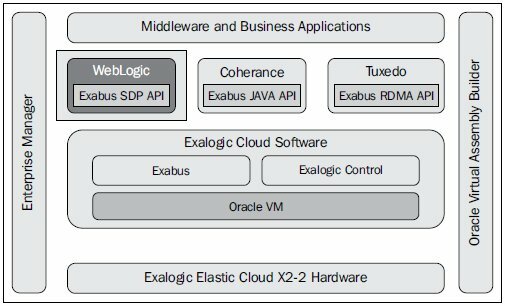 The Exalogic Elastic Cloud is a component of Oracle's Cloud Application Foundation, the company's next-generation application infrastructure. 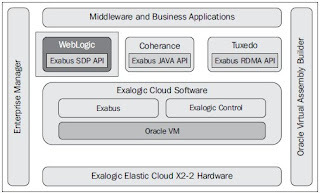 It combines the Exalogic cloud and the WebLogic Server with Tuxedo for C/C++/COBOL, Oracle's Coherence in-memory data grid, the JRockit and Hotspot Java VMs, Oracle Enterprise Manager, and the Oracle Virtual Assembly Builder. Oracle WebLogic 12c implements the new Java EE 6 standard and supports Java SE 7. It has also made a huge effort to make it compatible with a huge range of external systems, configurations, and so on. In almost every part, there have been major and sometimes minor updates to make the Java Application Server the most complete one. It has a tighter integration with the latest Coherence. The newest version of Coherence ( 3.7. *) has ActiveCache integration with WebLogic Server. It has Coherence cluster MBeans within WebLogic Server. The Node Manager is enhanced for starting/stopping Coherence cache servers from the Administration Console or doing it remotely. WebLogic 12c also works closely with Oracle Virtual Assembly Builder (OVAB). Oracle Virtual Assembly Builder is a tool that creates multi-tier Oracle Fusion Middleware environments as prepackaged Oracle VM templates. These packages are called assemblies. They contain preconfigured virtual machines and a complete prepared environment which can be deployed on Exalogic on demand. WebLogic Server 12c (12.1.1.x) Certification Matrix.